The former rugby-playing businessman is from Northern Ireland’s Causeway Coast. Hazlett and his wife Helen, who spent her early years in Peru where her parents were missionaries and then had a career in midwifery, have been in TCF since April 2011. 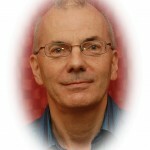 Hazlett trained in NBLC, Manchester and has an MTh in Applied Theology from Spurgeon’s College, London. With a conservative evangelical perspective, taking the Bible to be the inspired, inerrant Word of God, he loves to preach and teach showing the relevancy of Jesus to everyone in the 21st century. As a prodigal restored, nothing delights Hazlett more than seeing people of all ages invite Jesus into their lives, and to help equip the church family to grow in their faith and impact their local community. He has thoroughly enjoyed speaking engagements abroad, especially in Myanmar (Burma), where the thrilling vibrancy of the believers in the persecuted church has to be experienced to be believed. Jonny is on his second session as an Elder at Tanterton Christian Fellowship. He’s on the rota for Leading the Service, Intercessions, the occasional Preach & causing confusion on the PA Desk. He’s been a nurse since 1980, working mostly within the Critical Care area. He’s married to Carol, who is also a member at Tanterton Christian Fellowship. They have no children but enjoy treating their dogs like their offspring. His desire is to see people have an open, vibrant and powerful relationship with God. 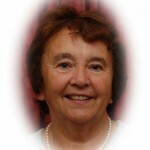 Susie was elected as an elder on 4th November 2009. She has been a member of TCF since it was founded in 1986. She is one of our Home Group leaders, co-ordinates our worship with the band and arranges worship and service leaders. Susie enjoys all kinds of music and loves reading.She is very pleased to be part of a team that is ‘Helping People Follow Jesus’ in our church family and our community. 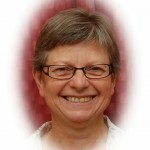 Ruth was elected as a deacon on 18th April 2007 and has been Church Secretary since 2009. She has been a member of Tanterton Christian Fellowship since it was founded in 1986. Ruth helps in the Sunday School and on the PA desk. Her career is as an optometrist and she has worked in and around Lancashire since 1978. She is also involved in several national optometric bodies. She is married to John, who is also a member at Tanterton Christian Fellowship. They have 2 grown up daughters: one living in Preston and the other in Berkshire. John and Ruth have 2 grandchildren. Her desire is to see the church growing both numerically and in the knowledge of God and to see people from the Tanterton area come to know the Lord Jesus as their saviour. Georgina was born in Manchester and became a Christian in her early teens when she was a member of Crusaders. After leaving school Georgina worked in hospital and became a Bacteriologist. She married Bob in 1969 and in 1974 moved to Preston with their two children John and Juliet. A year later Bob died but the family remained living in Preston. Georgina took on a change of employment teaching Speech and Drama. She now has 5 grandchildren with both families living nearby. She still maintains her Manchester roots by supporting Manchester United. Georgina has been a member of Tanterton Christian Fellowship since it was founded: presently she is an Elder. Her prayer is that as she serves she will continue to grow in her walk with Jesus and that others too will know him. She is excited about this prospect because God is faithful. Paul is a deacon and has been Church Treasurer since 2008. 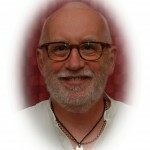 He has been a member of Tanterton Christian Fellowship since it was founded in 1986. Paul is a Worship leader and a member of the worship group and plays the Clarinet, Saxophone and Guitar. He works for a global IT company but is based in Preston. He is married to Karen, who is also a member at Tanterton Christian Fellowship. They have 2 grown up children, both living in Preston. His desire is to see God do immeasurable more in each of his children’s lives and to see the message of salvation made known in Tanterton and the wider area.